Why Speed Ratings will give you the winning edge. Another horse could run down the field on the other hand, but still record a quick time in fast race. Those who ignore that horse due to it finishing 6th or 7th last time out will be scratching their heads when it comes in next time at a big price. Our speed ratings will highlight these horses for you time after time, with many winners in the past up to 50/1 and is just one of the simple ways you can identify value bets using the speed ratings. You won’t win money betting on horses knowing the same obvious things other punters know. You win money by knowing important things other bettors don’t know and don't do. Trust Inform Racing to highlight value winners others will dismiss. Speed ratings are an absolute measure of a horse’s ability that can be accurately compared to all the other runners in the race and translate each performance into an easy to use number. 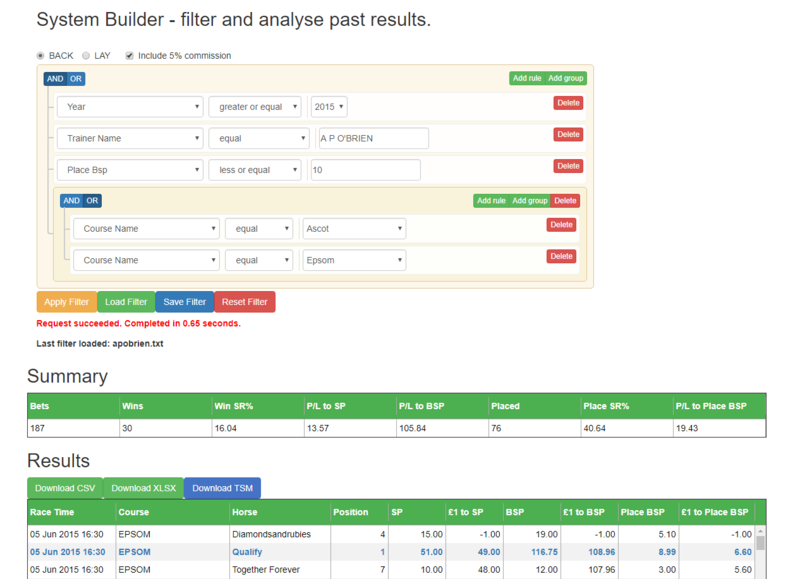 Most speed ratings are calculated by feeding in race times and basic track conditions into a computer programme which spits out any roughly calculated figure and simply cannot be as accurate because it is the understanding of everything other than the clocked time that makes the rating so valuable. Other types of ratings are compiled using judgement, basic opinion and outdated and unreliable pounds per length as the variant. 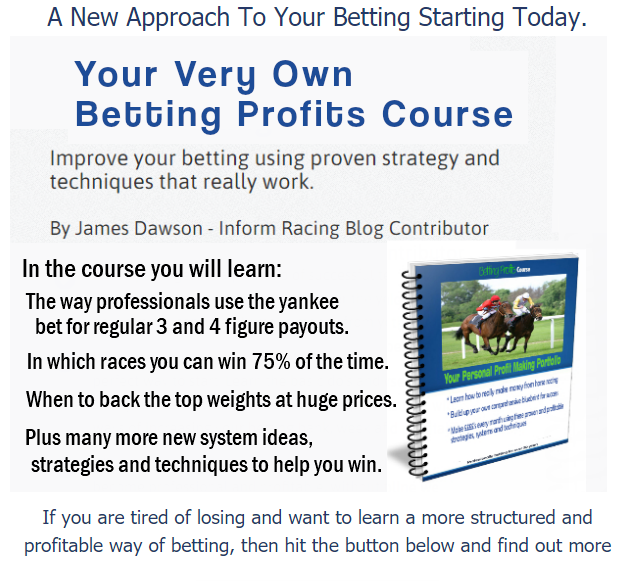 How fast a horse runs is the single most important factor in finding your winners and is the only place to start when looking at a race. ” I must say these ratings are amazing in their accuracy, I have had so many winners. 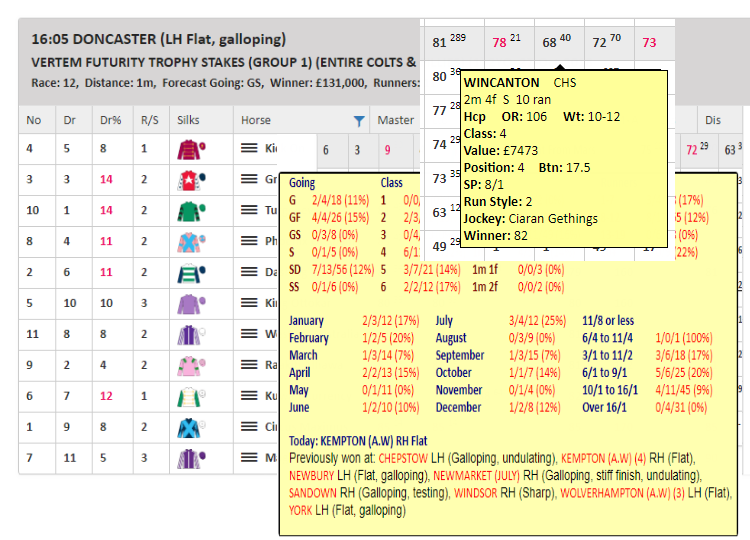 I would never have believed that speed ratings are so effective on British racing”. Fill in the form below and get access to one free meeting a day for life! 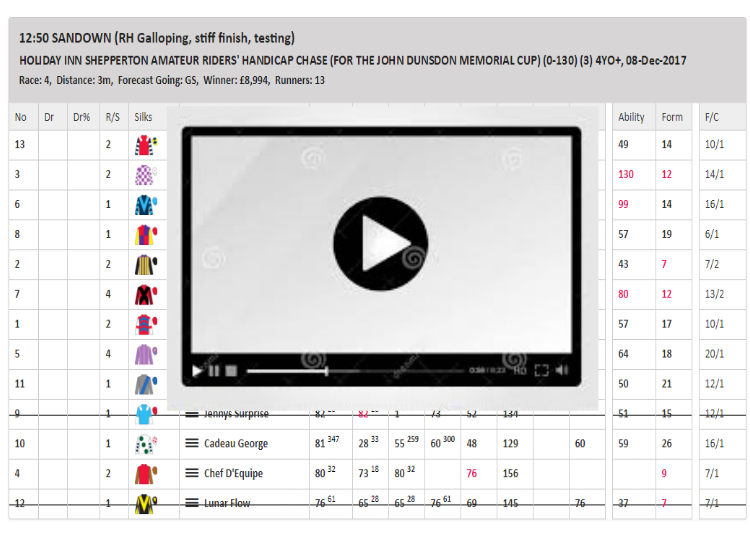 See how the ratings work, how simple they are to use and ﻿﻿how you can read the form of a race in seconds! And no payment details required. ​Bonus Betting Method - Yours Totally Free! on EVERY bet that you place. Our form guides are the simplest around. 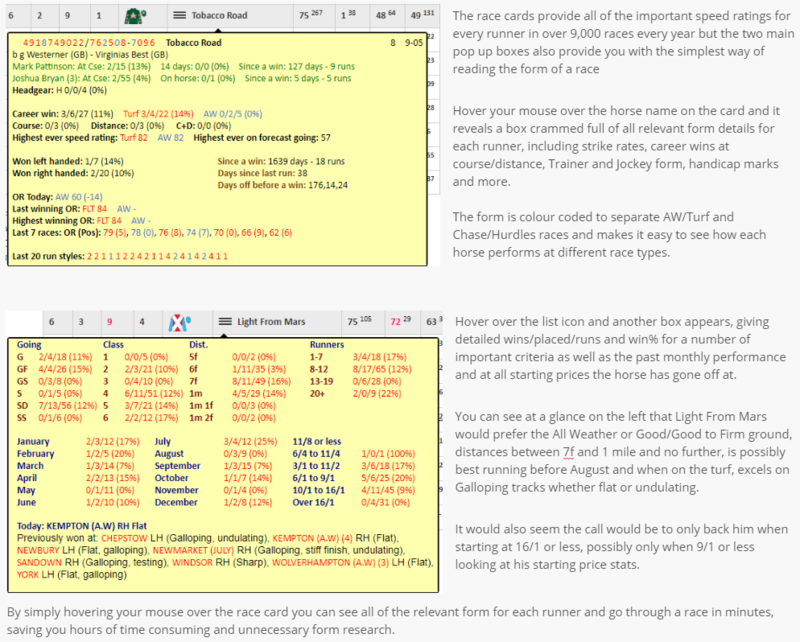 Just move your mouse over the card to get all the info you need in two easy to view boxes!